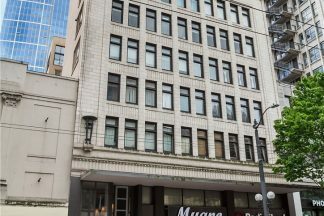 The Fischer Studio Building is a 28-unit condo building in downtown Seattle at 1529 3rd Ave. Built in 1915 is an incredible historic building. Designed by Bebb & Mendel. In c. 1920, the Bush and Lane Piano Company operated its Seattle store in the Fischer Studio Building. Originally, a music studio–designed in a Renaissance Classical idiom–occupied the building’s 7th and 8th floors. 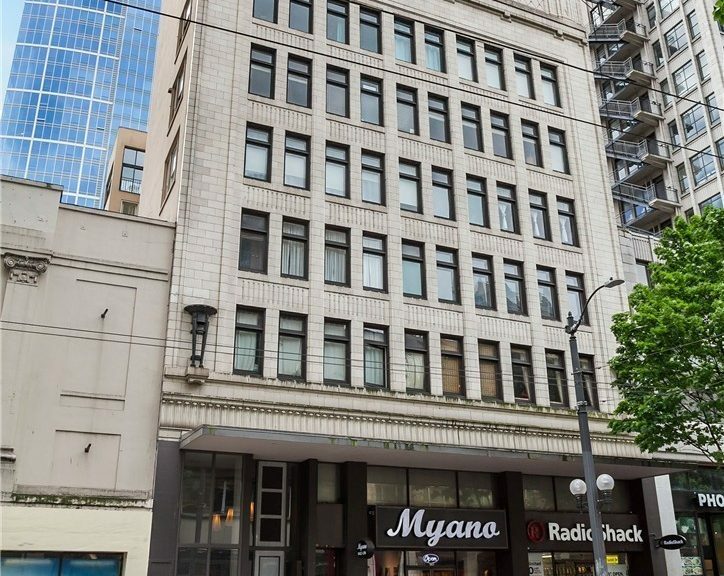 The building stands 110 feet high and has a flat roof with parapet.In 1974 noted Seattle architect Ralph Anderson bought the building for $230,000 and converted it into condo units. The building last underwent major renovations in 2016. There is no rental cap, just a six month minimum lease term. Contact us about Fischer Studio Building.